Choose from one of 3 different tribes. Populate the world and defeat all other tribes to win this game. All tribes have a unique gameplay and special abilities. This project was created in one day. This race depends on power supply. While all units generate power, the station drains it and needs to be supplied. Units can construct Turrets for defense and more Stations. While the females feed on the males and give birth the whole packs of children, the males can choose from 3 roles to become member of the tribe. Karaks are always on the move and can secure their tracks with traps. Males fertalize the females who then can give birth to children and choose from one of three roles to become member of the tribe. All units are bound to a single not movable nest but can reinforce it with walls. Alpha status. Terrain needs polishing. Races need balancing. Everything else is done. 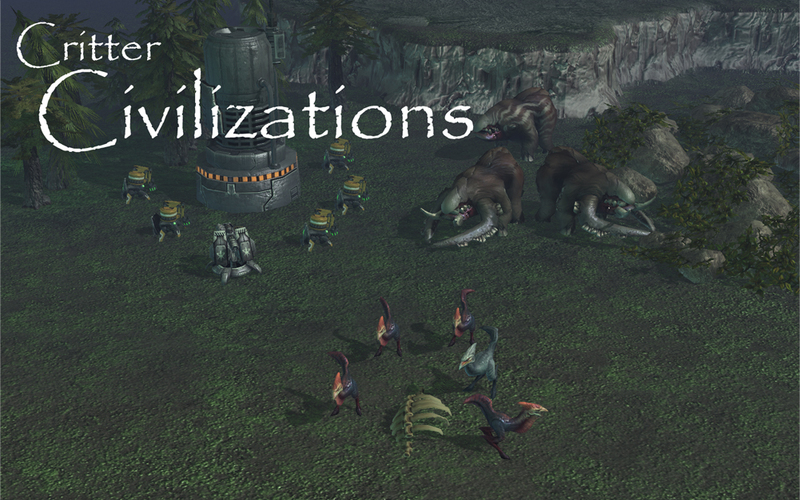 Map is live on EU, search for "Critter Civilization Alpha1".